Fragment of the Torah ("The Law of Moses", "The Pentateuch of Moses") scroll. 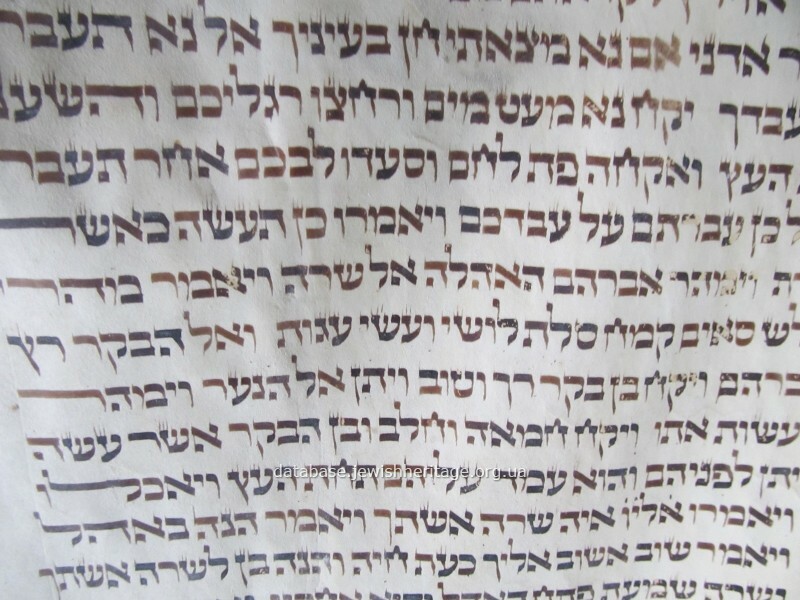 This fragment of the Torah scroll consists of three connected sheets of parchment made of a kosher animal skin. The first sheet contains four columns of the text while the sheet in the middle and the last sheet contain three columns each. The text of this fragment belongs to the book "Bereshit" and includes three weekly portions "Noach", "Lech-Lecha" and "Vayeira". In 1996 it was added to the register. 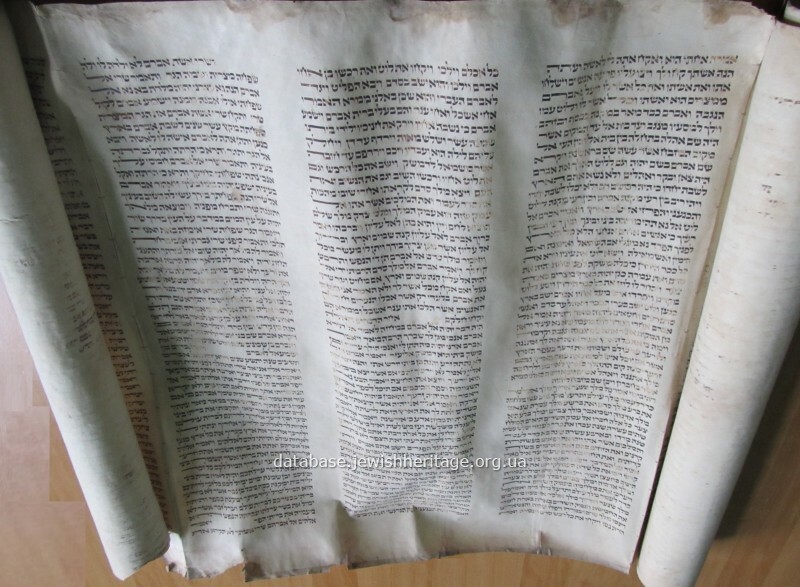 The Torah scroll is written from left to right on the parchment made of a kosher animal skin with special black indelible ink using quill pen. 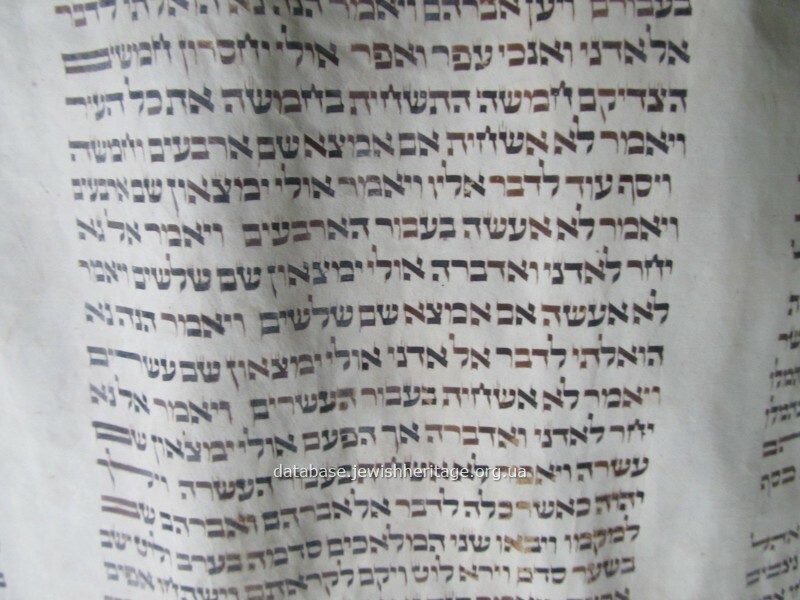 In each column there are 42 lines of text and the distance between the columns is 9 Hebrew letters in the width. Every four pages are sewn together to form sections that are then stitched into a scroll. 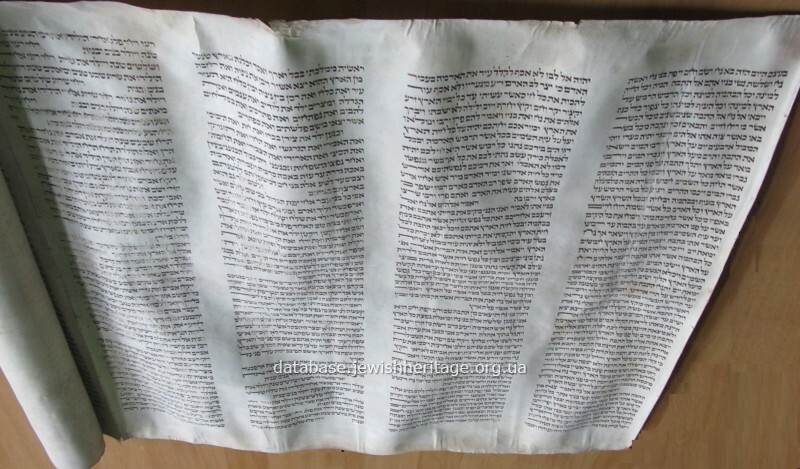 Parchment pages are sewn together with special threads made of the sinews of the feet of kosher animals. 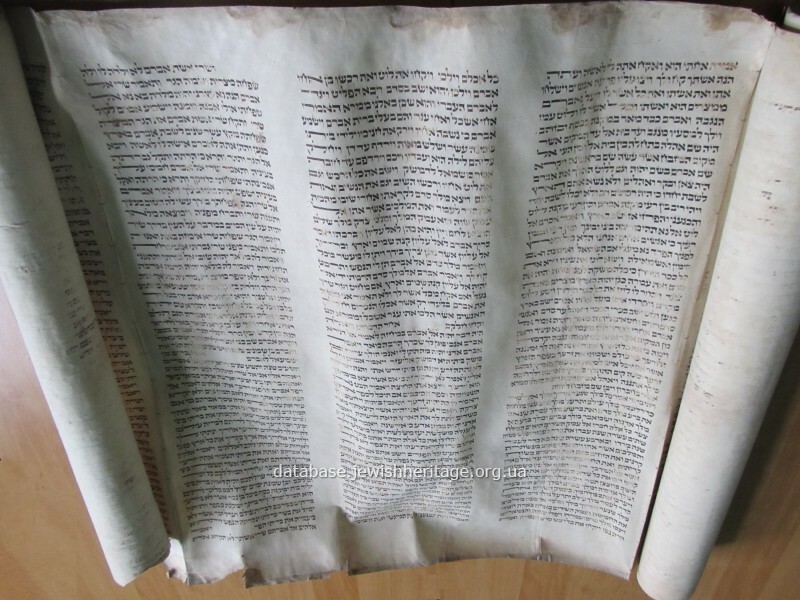 The Torah scroll is used for a public Torah reading in the synagogue. Yellowed parchment, sometimes stained, ragged edges, partial shedding of ink.